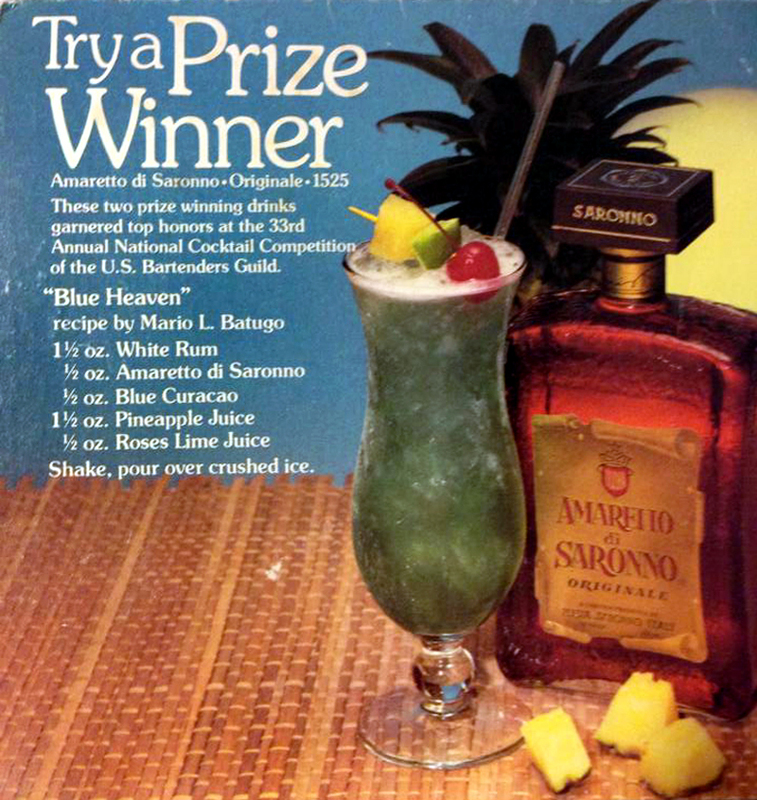 Tabletop display, including recipe, for Mario L. Batugo's Blue Heaven cocktail at Tip's Restaurant. 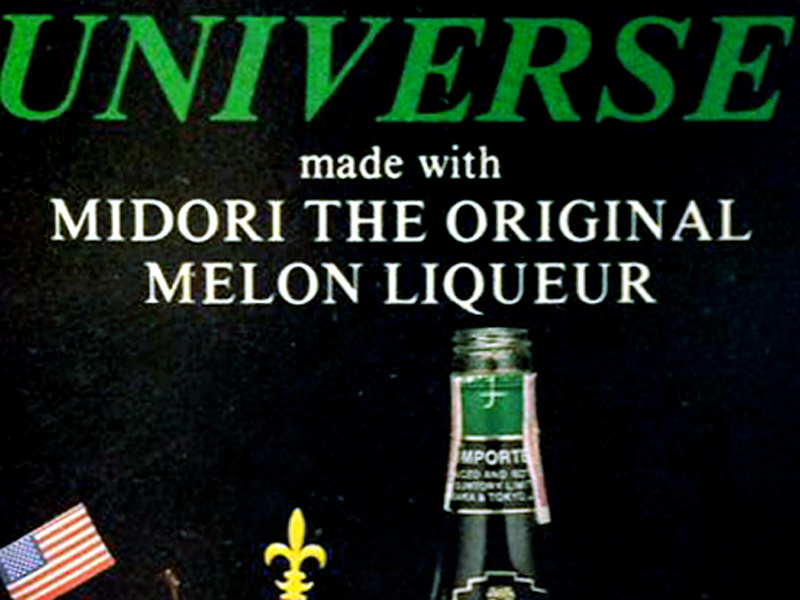 Mario was the nephew of world-famous mixologist Bobby Batugo. Shake, pour over crushed ice.